If you are a keen angler and like to keep abreast of all the latest technology and trends, then we hope you’ll stick around to read this review as today we’re talking fish finders. Specifically, portable fish finders which can go to the places regular finders just can’t. If you have a boat, then a portable fish finder is perfect for permanently mounting so that even if you venture into new and uncharted territory, you can be sure of increasing your chances of hooking that catch of the day. As a temporary solution to take on a fishing trip with you or just to have in proximity if you are casting a line from the shore, they’re a beneficial and convenient adjunct to your regular tackle. We invite you to take a look today at our comprehensive guide to the Best Portable Fish Finders and hope it will enable you to make an informed decision about which style and model from our selection suit your own unique fishing requirements. Regardless of whether you prefer to fish from a canoe, a kayak, a boat, a pier or the shore, the perfect portable fish finder is out there waiting for you. Without further ado, let’s dive straight in the deep end with our Best Choice recommendation. We’re getting things started with an incredibly popular choice and one which we’ve nominated as our Best Choice. It’s the Garmin Striker 4 and is currently their smallest model from the range. It features a CHIRP sonar and is reasonably affordable too. What you’re really interested in though is it’s technical capacity, and while it doesn’t include a Maps function, there is plenty to love about this device. It has a small 3.5” screen with and good 480 x 320-pixel resolution that’s in full color. It features a backlight which delivers excellent readability even in very bright and sunny conditions. It works on CHIRP dual sonar frequency and can handle water depths of up to 1660 feet in freshwater and 750 feet in saltwater. It operates on high precision internal GPS as you would expect from Garmin and can deliver two conical beams to pinpoint a wider surface area when detecting fish under water. The images produced by the sonar are relatively clear and offer excellent target separation too so with that CHIRP technology you can really isolate smaller targets and clusters of fish. There’s also a convenient Fish Symbol ID which also you to analyze but also to assign different fish icons to regularly spotted fish which the unit will then cleverly pick up and interpret on screen alongside its depth. The unit overall is rugged in design and waterproof to IPX 7 standards which means it can withstand splashes, rain, and immersions in freshwater of up to 1m although that’s not really recommended! Make sure you also check our guide to the best fishing pliers for more great fishing products. For our next best portable fish finder we’re taking a look at something from the Lowrance range and their Hook 3 series sensors. 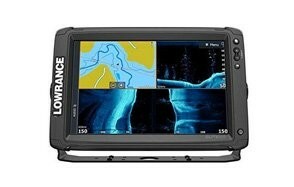 This is the Lowrance HOOK -3x DSI and is one of their most affordable units. It’s small and simple in functionality, and while it doesn’t have navigation options, there are a lot of great features that you will admire, especially if you are just starting out and not really ready to splash a load of cash just yet. Like the Garmin Striker 4, it features a compact 3.5” diagonal screen and delivers a 320 x 240-pixel image with LED backlight. Unlike the Garmin however, there is no built-in GPS, no maps or routes and waypoints either. It operates using DownScan radar and has a depth capability of up to 300 foot with an operating frequency of either 455/800 kHz. Note that it’s not dual frequency so you can’t scan on both frequencies simultaneously. It utilizes fan rather than conical shaped beaming with side to side scanning. The 455 kHz setting is better suited to deeper water and the 800 kHz for more shallow stretches. As it’s only a DownScan sonar, it’s not ideal for deep waters overall and is really a unit for fresh water as opposed to saltwater fishing. It does incorporate a temperature sensor so you can get a read of the temperature on top of the water. While it doesn’t feature CHIRP sonar technology, it does still deliver a clear picture with fish as appearing as bright dots. Overall the unit is affordable and has excellent readability even in direct sunlight. It’s IPX7 waterproof so OK in the rain and short intervals only of freshwater submersion. It quickly connects and disconnects and features a tilt and swivel bracket. It’s not a touchscreen either, so navigation is via the old fashioned route, utilizing the keys. Our handy guide to the best fishing bobbers features more great products like this. Our next fish finder comes from Hawkeye and is an accessible and affordable choice. It’s the FT1PXC Fishtrax Fish Finder and features an HD our color Virtuview display screen. It’s definitely a handy little tool for any of your angling enthusiasts out there who want to get straight to the action and target those fish. It’s super easy to use and very friendly and functional plus for such a small handheld portable device, it also gives surprisingly fast and accurate results. This device primarily locates fish under water immediately so that you don’t have to hang around in the hope that they will come to you. It has a small display at just 3” but it does also feature a backlight, and the screen is nice and bright so even if are fishing out in the bright midday sun, you can precisely monitor the information being displayed. This Fishtrax also has season modes plus you can take it on any body of water which even makes it suitable for ice fishing. The controls are all intuitive and straightforward to use with an auto-zoom bottom tracking function to target those fish you’re following. The overall maximum depth is 240 feet, and it also features a depth alarm. The screen display can be adjusted with over 100 levels of sensitivity to choose from plus it operates with two distinct frequencies. Use in that dual mode to show greater detail of the bottom structure. Lightweight, portable and super easy to connect and carry, it’s a great little cost-effective fish finder. If you love ice fishing, make sure you also check our guide to the best ice fishing shelters. Trying to improve the odds of catching more fish? Then what you need is a fish finder, and up next we have an affordable option for your consideration from Humminbird. The PiranhaMAX 4 DI is one of their newest portable fish finders, and while it might not have been built in GPS or other navigation functions that some of the more expensive depth finders come fitted with, it does have a nice wide and sturdy display with a rich pixel matrix. The screen is 4.3” diagonal with a 256 color range and delivers a 480 x 272-pixel resolution image with LED backlight. It offers 2D and Down Imaging sonar with a 2D depth to 600 feet and a DI depth to 320 feet. It comes supplied with an XNT 9 Di T transducer with a transom mount and a water temperature sensor. The transducer utilizes conical sonar beams and can be used to scan and target the water for fish activity. Unfortunately, that scanning function is Dual Beam only and not Dual Beam Plus which means that you can only operate one frequency at a time. While the PiranhaMAX does not feature CHIRP sonar technology, it does come w tip 2.5” target separation so it can detect fish from general vegetation. Among the other advanced features, you might find useful are a Fish ID function which can be used to assign symbols to targets as well as a Fish Alarm which is set to detect Small, Medium and Large sized fish and emit an audible noise. There’s also a depth alarm, a battery alarm plus the unit comes with a convenient swivel and tilt mount for quick and easy assembling. Waterproof to IPX7, it’s excellent at withstanding accidental water exposure but any length of time submerged underwater is certainly not recommended. Small, compact, reliable and cost-friendly, it’s a reasonable entry-level fish finder and also makes a great fishing kayak fish finder too as its easy to install and maintain. Anyone who knows their fishing will now that HawkEye is well respected in the angling community and have a reputation for producing affordable fishing equipment for beginners upwards. Their range is all about being user-friendly and enhancing that much-loved fishing experience. The portable HawkEye Fish Finder w/WeedID is no exception and is a compact, palm-sized device that certainly has plenty to offer the novice and expert alike. Besides the fish finder receiver, you also receive the Sonar device as well as a convenient pouch to carry all that essential gear safely with you. 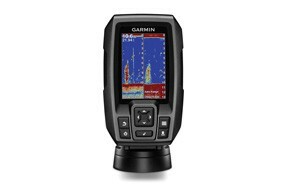 This fish finder is able to read the movements of fish to overall bottom depth of just shy of 100 feet with the results clearly displayed on the VirtuView LCD display. It’s simple and efficient and no frills but its great for detecting fish in the vicinity whether you are out on a boat, a canoe or even kayak fishing. The integrated WeedIDTM program does just what you might have guessed, accurately depicts the weed height in the water where those fish can be found. While it is easy to use there is one significant drawback, this unit may be portable, but it requires a 35-foot long sonar cable to work. 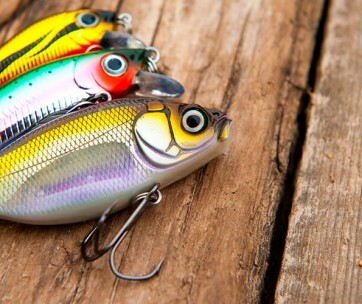 Find more great products like this by checking out our guide to the best fishing lures. Our next GPS fish finder has been created with a firm emphasis on shore fishing. It’s a versatile wireless option that is a castable style finder for all the avid anglers out there keen to avoid disappointment and increase their chances of landing that nice big tasty catch of the day! It quickly finds fish and hot spots and can see their location, size as well as their depth. The Deeper Pro Smart Sonar device also interprets and reports on vegetation, underwater structure, hardness as well as bottom contour and can relay information, not just about the water depth but also temperature too. With a built-in GPS you are able to create bathymetric maps from the shore, and you can also save, review and analyze your charts via Lake Book, a management platform that allows you to review vital and interesting information on any device from the comfort of your home. This Smart Sonar system cases up to 330 feet and scans down to 260 feet with a dual bean sonar frequency plus it also generates its own Wi-Fi signal to connect. There are further interesting and useful functions including, and Ice Fishing mode and a Flasher display plus it can operate easily in temperatures as low as -4F as handle both fresh and saltwater conditions. Unique and versatile plus highly compact and portable, the Deeper Pro is totally suitable for trolling from a kayak or a boat as well as casting from the shore. Don’t forget to also check out guide to the best ice fishing bibs for more fishing related products. We’re finishing up our best portable fish finder review with what might just be smaller castable portable wireless fish finder currently around. Suitable for use with iOS and Android devices the convenient iBobber comes with its own USB charger as well as a carrying pouch. iBobber Wireless Bluetooth Smart Fish Finder is stacked with features, way too many for us to possibly list here but it certainly is a neat little device and gets our Best Value award too. It’s a mobile fish finder, and comprehensive app combined that’s been absolutely designed with portability and flexibility in mind so that anglers of all levels and experience can appreciate it’s functionality. By connecting with an iPhone or an Android mobile device, you can track and monitor all kinds of stats like depth contours, underwater structure, make fish, save water temperature, weather, location, hot spots and so much more. Perfect for fishing from the shore, a dock, kayak or a boat it also works in both saltwater and freshwater as well as being suitable for ice fishing. It doesn’t sound like there’s much that this little iBobber can’t do! At such an affordable price too, we think it makes the perfect gift for fishermen in your life. 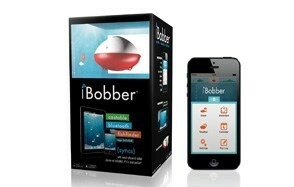 They’ll have hours of fun both using the iBobber itself but also monitoring all those stats. There’s even the option to share all those details via social media so for once when you recount that tall fishy tale of the whopper you caught, the trip log data will be telling the truth! You may also like our guide to the best fishing reels so make sure you check it out. For our final product recommendation in the best portable fish finder category, we’ve skipped back over to Lowrance, and we’re taking a look at their brand new Elite Ti2 which is brand spanking new to market. It is is loaded with features and most notably has a large 7” diagonal screen with a superior 800 x 480-pixel resolution display and adjustable LED backlight. When it comes to the Sonar functionality, there are 3-in-1 active imaging options with 2D CHIRP, DownScan, and SideScan available. The unit also comes with an HDI Skimmer and can be used to reach a depth capacity of 1000 meters. GPS is included, as are maps for US Inland along with Routes, Waypoints, and Tracks. The HDI Skimmer comes with a plastic transducer, a transom mount and trolling mount monitor too, so you have plenty of options. There’s always an integrated temperature sensor. There’s a wide array of sonar features incorporated including something new called Fish Reveal which allows you to more clearly differentiate between fish in relation to vegetation or the bottom. There’s also an Overlay DownScan mode as well as features which include A-Scope, Fish ID, Circular Fisher for ice Fishing, Bottom Lock and a Depth Alarm. When it comes to navigation features, the Lowrance Elite Ti2 is equipped with a 16 channel 10 Hz internal GPS receiver which is capable of providing the latest positioning updates 10 times per second. It also has a built-in GPS speed feature plus you can save waypoints on the microSD card as well as routes and trails. Perhaps one of the most impressive features though of this GPS fish finder is that it comes with Genesis Live. This allows you to update and view real-time mapping of all your favorite lakes and fishing spots in glorious high definition. As if all of that isn’t enough already, it’s also features an easy to operate and a customizable touchscreen interface that can be used in split screen function and to display 4 panels. It offers both Wi-Fi and Bluetooth and is fully Smartphone compatible. The only downside is the price tag, but if you are serious about your fish finding and want the best char plotting system around, then this has to be the one for you. Brand-We feel that it’s important to have a representative cross-section of brands for you to choose from, some of the most popular names within the industry perhaps alongside some breath through brands who are just getting established but really coming up with the goods and deserving of a shout out. Reviews-We spend hours reviewing consumer feedback to get a fully rounded perspective of what you can expect the actual of experience of using the end product to be like for you. There’s nothing more revealing than the honest appraisal of fellow shoppers! Price-Finally, we aim to compile a section of products that have a range of price products from entry level to the bells and whistles top end of the market. Above all else though, price tag aside, our recommendations in any category must always offer value for money and represent exceptional quality. If you are new to the topic and not even sure what features you should be looking for, then we’re going to recommend below a couple of critical elements that it pays to be aware of before you go ahead and invest in that new piece of fishing kit. There are quite a lot of things to think about, but some are more important than others. Detachable-It’s pretty essential for ease of use and efficiency that you have the fish finder that is flexible and can quickly be detached from one position to another without having to make any significant changes to your boat. 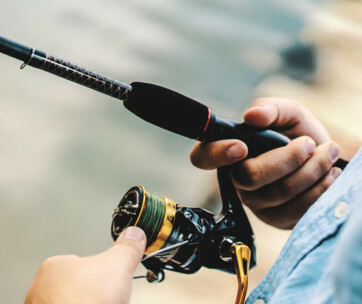 Unless you intend having it as a permanent fixture, your best bet is to purchase something that has a quick release option, that way you can focus on the job in hand, locating and catching those fish, rather than having to spend unnecessary time getting yourself set up in the first place. Sonar-The kind of sonar power that you have will determine how readily you can detect those fish in the water. If you go for a dual band sonar system, you will effectively be able to pick up both near and far his at different surface levels which will give you the best overall assessment of what exactly is going on under the surface of the water where you are positioned. Transducer-The transducer is an essential element to any fish finder, so it’s worth spending some time making sure that you choose one that is right for you. This is the critical part which sends out and receives the sonar wave messaging, and once the waves are emitted into the water, the principle is that they bounce off any objects that they come across. Those objects are then picked up by the transducer, and that data usually goes into a central unit where it can be processed and turned into a visual analysis of what’s going on underneath the water. Transducer’s come with different kinds of mounts with the easiest one to install being the transom mount. These are typically made from plastic and are easy to assemble and dismount and compatible with pretty much all boat types. If however, you are using a transducer with a thru-thru-hullo an in-hull mount your best bet is to go with a plastic housing if you have a fiberglass or metal hull and a stainless steel housing if you have an aluminum or steel hull. You can also get bronze housings which are best suited for boats with wooden hulls. In the vast majority of cases, and especially for most recreational purposes, fish finders come with either trolling motor transducers or transducers with transom mounts. Cone angle-As well as the type of sonar that your fish finder has, the cone angle is also critical. As with a camera lens, the wider the angle, the larger surface area you can view. Most transducers come with a range from 9 to 60 degrees, but typically most will fall somewhere within a range from 16 to 20 degrees. Depending upon where you choose to do your fishing and the depths you head out to, it may be beneficial to go for a cone-angle of about 20-degrees. The cone angle will determine the width of the beam that you can expect in the water. As the beam goes down, the cone angle expands. If you opt for a more advanced model of fish finder, it may also be possible to emit two or more different cone angles to cover off a large expanse of water. If you are fishing on a lake, for example, a dual or even triple beam might be something worth considering. Power-Another important feature to consider before you go ahead and splash that cash is the power wattage of your device. The lower the wattage, the slower the performance but if you only ever intend fishing in shallow water, this won’t be an issue. The higher the wattage, the faster those sonic waves are and the more accurate a reading you will receive. If you are regularly going to be fishing either in open saltwater or out of a broad and vast expanse of water such as a great lake, then the more power, the better. Screen Resolution & Colour Options-As with most screen display driven technology, there has been a move away from black and white towards full color which can offer up a clearer and visible picture. The more colors and the brighter and higher the resolution, the easier it is to read the information. If a color screen is currently out of your budget, then don’t worry, black and white will still do the job although it will be much harder to read in both overly sunny as well as dark and cloudy weather conditions. The screen resolution is also something that you might want to consider, and that is described in pixels when it comes to fish finder screens. So one pixel is a single dot on the screen which means the more pixels, the more precise the image. You should ideally aim for 240 x 160 pixels, but even that might look and feel a little primitive given how used we all are to operating smartphones and tablets that have such fabulous crisp and clear screens. The higher the display, the better the clarity and detail you will be able to view and of course, the more you will need to stretch that budget! So decide how important that element is to you before making your final decision otherwise you might go for an upgrade quicker than you’d planned. Connection-GPS is commonly used in conjunction with the most popular fish finders as well as Wi-Fi and Bluetooth. Depending upon how far you can stretch the budget, it really does pay to go for a GPA model if you can afford to invest in one. Frequencies-Fish finders come with a range of frequencies including Single, Dual and Multiple. Typically transducers will be either 200, 192, 83 or 50 kHz. For shallow water then a higher rate like 20 or 192 kHz, ie recommended whereas, for professional and also commercial style conditions, a 50 kHz transducer is the norm. The higher the frequency, the more information will be displayed on your screen so if you are a novice, then the higher, the better to ensure that you can fully interpret the fishing conditions. Simply put, the higher the frequency, the more sonar waves are emitted. If you are looking to invest in a portable fish finder, you basically have three main choices. Portable-The most traditional style of fish finder is a portable unit which typically consists of a nylon case that conveniently holds all of the component parts of the portable kit. The key component parts included will be a small fish finder unit typically with a 3 to 7-inch screen, a mounting base, a portable transducer along with a rechargeable battery. This type of portable fish finder is suitable for open water as well as ice fishing and is excellent when used with a small boat. Castable-We step it up a gear with this next generation of portable fish finder, the castable variety. The unitize the power that you already have in your pocket; i.e., a smartphone. Rather than being presented in a self-contained unit, the castable style of fish cider consists of a small floating transducer which resides in the water and communicates back to your chosen smartphone device via a downloadable app. 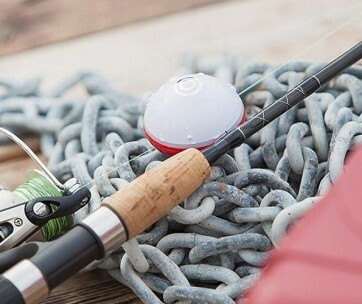 This is best unitized when you are fishing come to the shore or along river banks, but it is possible to adapt for boat use however remember that you do require a Bluetooth or Wi-Fi connection to operate. Mountable-If you regularly go out fishing on a boat and want to have a permanent fixture, then a mountable fish finder could save you time and energy. It’s a great option if you are fishing in deeper depths that can only be accessed via a boat, canoe, kayak and can even work with a float tube too as long as you have the appropriate accessory to fix. Q: Are Portable Fish Finders Waterproof? A: Unfortunately, it’s not a given that all fish finders are waterproof, but in the majority of instances, they just should be. It totally depends on the make and model, so it’s best to read the manufacturers specifications thoroughly. Some may be able to survive splashes but not submersion adequately, so we do recommend that you ideally look for a fish finder that has some rated level of waterproofness. Accidents do happen, especially when you are around water and a fish finder is not exactly an inexpensive purchase. Taking precautions course will help but perhaps do yourself a favor and avoid the headache of finding out to your detriment and cost that your portable fish finder isn’t waterproof after all by checking the specs first! Q: How Do I Mount A Portable Fish Finder? A: The answer to how you mount a portable fish finder is of course utterly dependent upon the model and make that you have purchased and what fixings it comes with. One of the most common methods however of mounting a traditional style portable fish finder is via suction cups which are attached to the transducer. You can easily adjust the angle of the suction cups to position your fish finder before you lock it in place. If you have a castable variety, then this will ordinarily need to be tied to your boat or canoe for example with something like a length of rope or perhaps a heavy braided fishing line. Q: Can Portable Fish Finders Be Use For Ice Fishing? A: In short, yes, it’s entirely possible to use a portable fish finder for ice fishing, but to be truly successful, it is recommended that you first drill a hole into the section of the ice where you intend fishing and dip your finder directly into the water. That’s not strictly necessary, but it does make the process easier and less time-consuming. If you don’t want to go to the hassle of drilling a hole in the ice, at the very least, we recommend that you first clear away as much surface snow as possible and find a nice flat surface on which to place your fish finder. Before you lay it onto the ice surface, pour some water on the ice first which will help you to get a more accurate reading of the area around you.